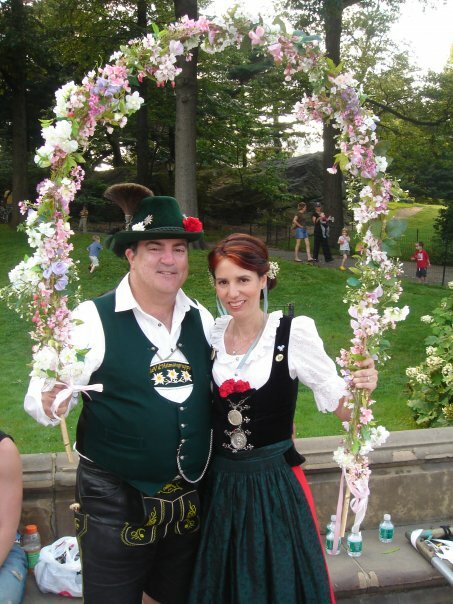 Paschen Workshop - Fun for All! At the 2017 Gaufest in Buffalo, the Volksmusik Committee sponsored a great workshop: the Ausseer Steierischer. It was a 3-part workshop taught by Adam Levine and Eric Ray. Part I was Wirtshausliada.This session introduced a typical Gstanzl (song verses) sung during a traditional Landler from the Salzkammergut region of Austria. Part II was a Pascher Workshop. This linked basic Pascher (clapping) patterns and applied them with the Wirtshauslied learned earlier. Part III added a Volkstanz to the mix and then put them all together for the Ausseer Steirer. Alpenland Montreal will be celebrating their 50th annual Jägerball on Saturday, February 3, 2018. Take a look at the flyer for more details. I know.... It's such a beautiful fall and you're still dancing at Oktoberfeste but, yes, it's time to send in your Christmas greetings for the Gauzeitung. In order to get the Christmas issue to you by the beginning of December, the greetings must be sent in/reserved by October 15. Even if you can't get the actual greeting to me by then, please let me know what size ad you or your Verein wants, and then take another week to email it. You can send a pdf of a finished ad or words and pictures/graphics for me to finish the ad for you. Ads will be in color. 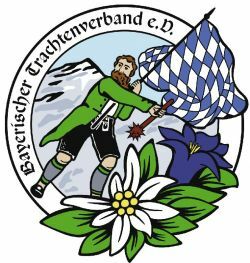 The Bayerischer Trachtenverband held its annual Landesversammlung (Delegates Meeting) this past weekend in Sennfeld in Unterfranken. Elections are held every three years, and this was the year. 163 delegates from 22 Gauverbände attended the meeting. They represent the 796 Trachtenvereine that have a total of 161,681 adult members. Bairisch -- A Great Language!